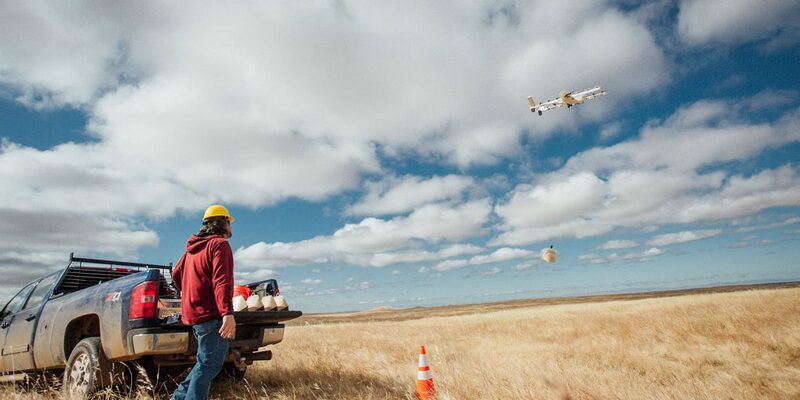 Most recently, Google X launched its drone-based delivery system known as the Project Wing. Outwardly, the project wing sounded like the Amazon Prime Air. But closer inspection revealed that Google had more elevated goals than the Sriracha airdropping emergency bottles. The Project Wing project has been under development for over two years and the main concept behind it is to transport defibrillators to sufferers of heart attack within two minutes. Google ran into many problems when it attempted to integrate its new tech with the existing United States 911 and the emergency service systems. As a result, their focus shifted to general problems of disaster deliveries, same day delivery, and delivering to areas where next- and same-day couriers might not reach. Google conducted all test flights of the Project Wing in Australia. Which is known to have more permissive domestic drones (remotely piloted aircraft) policies than the United States. Up to now, we have no information on when Google will commercialize the Project Wing but it is possibly a few years away – they have to sort out lots of FAA red tape first. Even though most work in the small-scale autonomous remotely piloted aircraft and drones generally revolve around quadcopters, Google X opted for tail-slitter designs for their Project Wing. And as the name implies, Project Wing aircrafts take off and land on their tail but cruise horizontally like the normal airplanes. The method of vertical-takeoffs-and-landing (VTOL) was applied in some earlier aircraft designs but researchers deemed the Harrier Jump Jet (thrust vectoring) more practical for manned flights. Google founded the American research-and-development facility in January 2010. The headquarters of Google X are situated a few meters from Google’s corporate headquarters in Mountain View, California. The laboratory started by developing Google’s self-driving vehicle. Later, on 2nd October 2015 after Google restructured into Alphabet, the laboratory became another independent Alphabet company and the name changed to X.
X’s mission has invested in invention and launch of “moonshot” technologies with an aim of making the world a better place. X defines moonshot as intersection of big problems, radical solutions and breakthrough technologies. Project Wing, Loon, Glass and the Driverless Car are among their most recent projects. Google project wing website has already released a video showing how their drone will function. Even though the technology is years away, the video shows some real promise. Here are some of the things to know about the unmanned aircraft features. Google X incorporated tail-sitter design to allow for a differentiated look and better overall distance potential. With the tail-sitter, Project Wing drones can literally lift up directly into the air and move. The producer will require lesser rotors – with only four appearing on the most recent model – to power the drone. That allows the drone to conserve energy. Tail-sitter designs are important because they allow drones to hover with utmost accuracy. They stop at specified locations using GPS coordinates and then hover in place to deliver the package. Even though the drone is optimal when it comes to flight ease, the design is not common in personal and commercial aircrafts. That is because humans are unable to handle dizziness felt with the quick orientation changes of the design. Thankfully, electronics will not experience the same effects. The drone derives its power from an included battery. Because of the minimal rotors and the tail-sitter design, we expect that the alphabet project wing drones will travel for longer distances than the Amazon’s 10 miles drones to deliver packages. Up to now, Google X has not released a distance range but has tested the project in a 0.5 miles range. The delivery method relies on a winch design. Fundamentally, the package has to be attached to the winch so that the drone can hover in space and then release the grip on winch after it reaches the destination. That way, the winch will lower the package at 10 meters per second speed. Using unspecified detection methods, the drone will slow the package down to around 2 meters per second when close to the ground. The winch will release the package after automatically retract after it has touched the ground. So, what will happen if a person decides to grab the package and pull the drone? We will wait to see. Just like other major drone projects, the Federal Aviation Administration (FAA) has not granted the Project Wing clearance for testing outside their property. For that reason, they have done all the trials in Australia. Google has been working with neighbours that are closer to their offices – less than a half mile away – to deliver packages. As you might realize in the most recent video, the deliveries go rather smoothly and the trials show further indications. Project Wing is a one of the projects that aim to deliver products across cities faster by using drones. After the announcement on August 28, 2014, X had been developing the project secretly at their laboratory for around two years with a full-scale testing under project wing Australia. The drones take off vertically and rotate to horizontal position to fly around. Finally, the drones hover and winch the package to the ground. The winch also features a bundle of electronics. Which notices that the package has touched the ground, detaches it from the ground and pulls it back into the vehicle’s body. Users compromised the safety and therefore Google X found that landing or dropping of the cargo was unfeasible.